I would like to give you an update on what the Lord is doing to the UTT Feeding Ministry and Bryce Homes during the 1st Quarter of 2018. By the grace and mercy of God the feeding ministry funded by Understand The Times is used by God not just to feed the poor children but to be the means of evangelizing them. As the year passed by, I have seen how the Word of God shaped the lives of these children grown up in our ministry. They were once listening to the bible stories and messages while waiting for their food but now as grown up young people they are the one teaching for the younger ones. We have new generation of children ages 6-10 attending church services. They stay at the church to attend church services and to worship God even after attending their own Sunday school class and feeding ministry. Truly the Lord is awesome and worthy to be praised for his grace is boundless and no respecter of person, race or culture. Some of our young members started at the children’s feeding ministry. Now, they are used by God as teachers and supporters for this ministry. Please continue to pray for Understand The Times Philippines Feeding Ministry for the Lord is working in the lives of these children. Every home and family experiences times of trials and troubles but if Christ is the foundation of that home it will remain strong in the midst of tempest and storm. 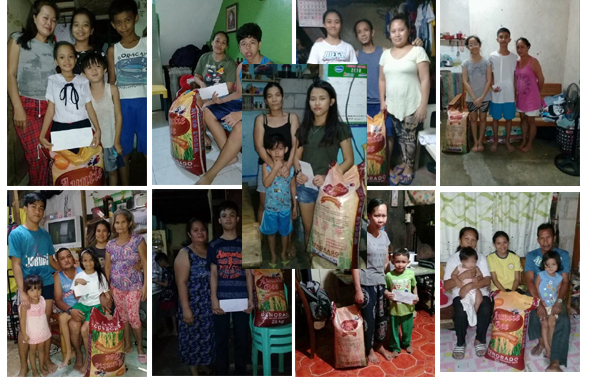 Bryce Homes Philippines underwent trials and shaking for the past months and it resulted to the eviction of some of the recipients and to replace them with kids who can comply and are more deserving to be in the Bryce Homes Program. The current set of students (both old and new) are worthy to be in the program. They are doing well in school and faithful to the Lord by attending church services and prayer meetings. Their parents are supportive as well by lending their help in feeding ministry and church activities. We continue to give school and food allowances for each child in the Bryce Homes. 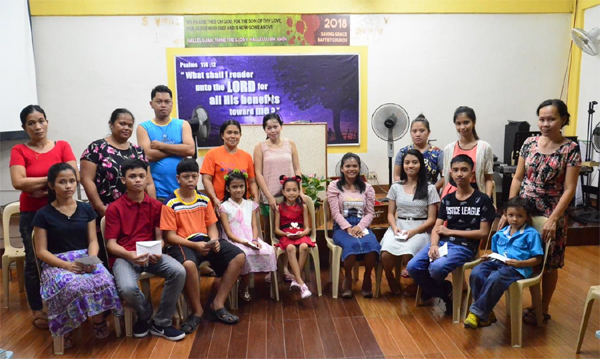 We also have summer activities for them with their families, like summer camp last month and daily vacation Bible school God willing next month (May). Please continue to pray for Bryce Homes Philippines for we know that God is using this ministry to bring families to the Lord’s church. We are sowing seeds of kindness to the heart of these children and we know someday we will reap a reward for they themselves will help other less fortunate children in their schooling because they experienced God’s mercy and kindness through Bryce Homes Ministry. On behalf of the Lord’s ministry here in the Philippines I would like to express our deepest gratitude to all the supporters of Understand The Times and Bryce Homes with their leaders, Bro. Michael Miller and Bro. Roger Oakland. Thank you so much brethren.